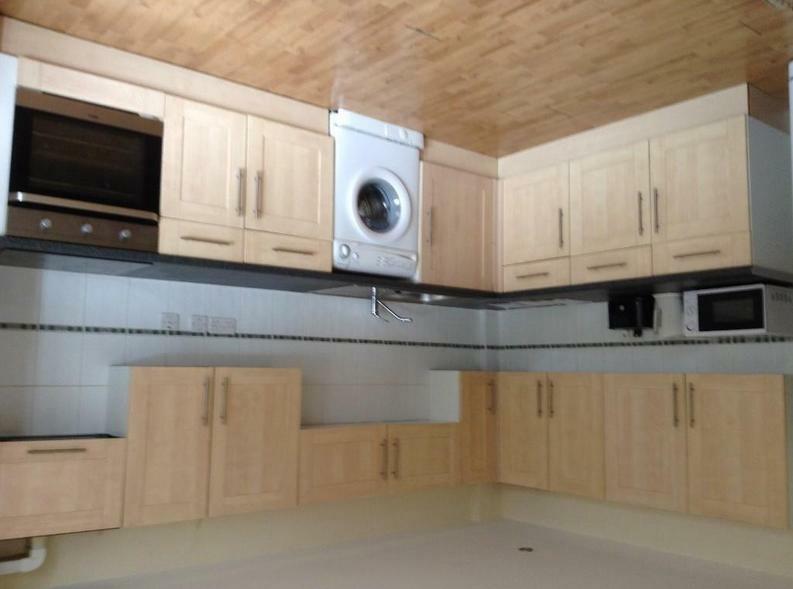 How many times have you seen a listing with photos that looked like this? How long has this one been listed for? So, ummm, what exactly am I looking at here? light and casts shadows that add depth and dimension to your photograph. The early morning shadows make the home look warm and inviting. 2. Pay attention to the orientation of the front facade of the house. photographed in the morning with the rising sun (like the one above). Houses with a westerly facing facade are best shot in late afternoon. The most challenging shots are due north and south facades. For these shots, wait for a cloudy day or shoot in early evening and take advantage of the home’s exterior lighting to create an interesting mood. The impending storm in the background turns this home into a beacon of safety. 3. 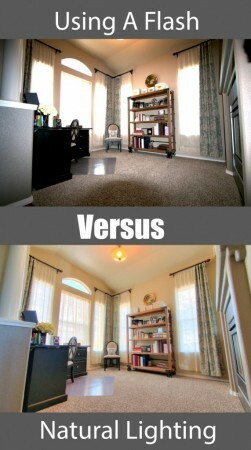 Avoid flash for interior shots when possible. harsh shadows. Instead, try setting up your camera on a tripod and using existing lights and a longer shutter speed. Another technique when flash is required is to bounce the flash off the ceiling (provided you are using an adjustable flash head). This diffused, reflected light fills the room in a more pleasing way. 4. Remove all clutter from the picture. 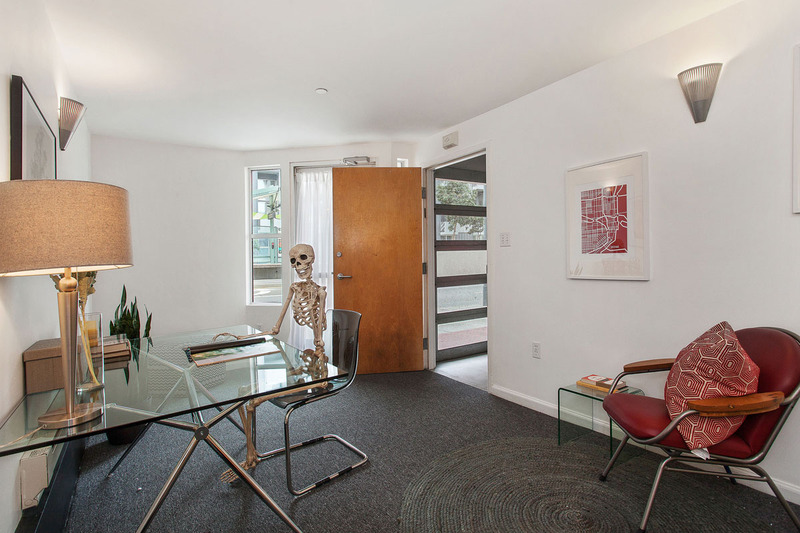 counter tops, and remove most, if not all, of the homeowners “personal” decorations such as trophies, figurines, etc. Consider removing furniture such as occasional chairs or end tables from the shot to simplify the scene. Ash trays, TV remotes, dog toys, and nick-nacks have no place in professional real estate photos. 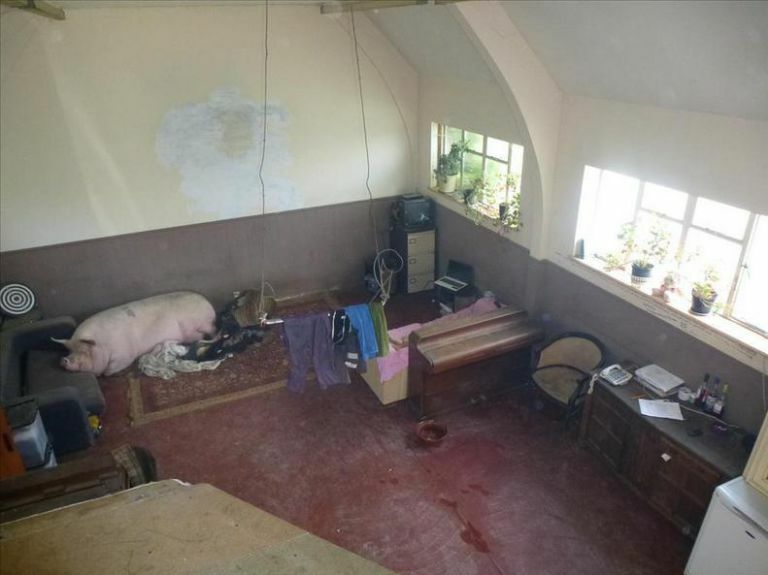 Yes, even pigs count as clutter–get them out of the photos! 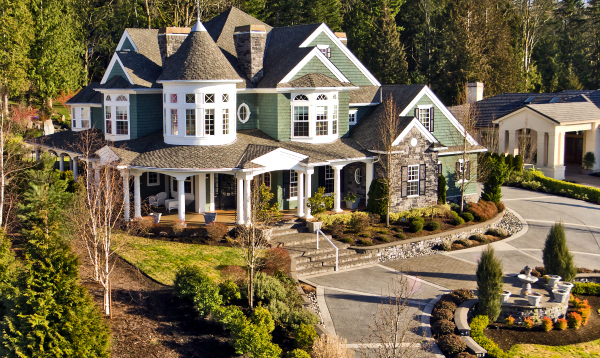 Follow these rules for effective real estate photography and you can make homes sparkle! Check back soon for part 2! At family-owned real estate school, Larson Educational Services (License #ZH1002299), you can complete the steps necessary to obtain your Florida Real Estate License in as little as 30 days. Because our course has a modular format, you can actually mix-and-match dates and locations if you need flexible scheduling. Just contact us and we’ll help you put a schedule together. We have real estate courses in Ft. Myers and Naples starting soon, or you can complete the course online. WEEKDAY and WEEKEND class times are 8:30am – 4:30pm. EVENING class times are 6:15pm – 9:45pm. Tuition is $359 and includes your course materials. You can even attend any portion of the course again for review for no additional charge. If you would like additional information about getting started, take a look at our Step-By-Step Licensing Guide or view our Real Estate Broker Connection page to view information about companies that are hiring newly licensed Sales Associates. To register, please call a friendly Larson representative at (239) 344-7510 or REGISTER ONLINE. You can even register for the class today and pay for it later. We take registrations all the way up to the first day of class. Who wants to get away with us? Weekend Classes: Five days, Friday through Sunday the first weekend, and Saturday and Sunday the second weekend from 8:30am to 5:00pm. Although the state says you have up to 2 years to complete this course after obtaining your Florida Sales Associate license, we recommend attending this course within the first 2 months of being licensed. Why? Because this course lays the foundation for you to conduct the practical side of the business –finding sellers, properly pricing, marketing, finding buyers, negotiating and more! In the Florida 45 Hour Sales Associate Post-License Course at Larson Educational Services, you’ll sharpen your skills in every aspect of listing and selling. You’ll learn how to professionally prepare and present a comparative market analysis that separates you from the competition. You’ll discover techniques to increase your percentage of listings sold. You’ll learn strategies to demonstrate and reinforce pricing decisions. And you’ll learn all about marketing, real estate technology and building an internet presence that gets you found online! Not ready to pay for your course, but want to hold your seat? That’s ok! We accept unpaid registrations online or by phone. Your tuition will be due on the first day of class. Call us today with any questions.